These KEEN Utility Women's Atlanta 1007017 ESD steel toe shoes look like something you'd lace into to go for a long run. There's no reason you can't do that, but you should definitely put them on when you're going to work - or anywhere your feet are in danger. We l ... (see full details) (see specifications) #KEN1007017. These KEEN Utility Women's Atlanta 1007017 ESD steel toe shoes look like something you'd lace into to go for a long run. There's no reason you can't do that, but you should definitely put them on when you're going to work - or anywhere your feet are in danger. We like sandals as much as anyone else, but on a job site, you'd better step into your KEEN Utility shoes. These women's shoes are designed with a unique, secure fit lace capture system to keep your feet securely inside. Reflective webbing keeps you safe in dark and low-light situations, adding visibility so you'll always shine. Mesh lining provides ventilation, allowing heat to escape to leave feet feeling cooler. The nubuck leather that makes up the uppers is water-resistant. There's even a special women's last in the KEEN Utility footwear to give you better comfort and fit. The footbeds are made with two layers of EVA foam in soft, dual-density construction. The Metatomical design cushions the full length of your feet. Remove the footbeds any time for cleaning. The midsoles are made with dual-density EVA foam to add more soft cushioning. Torsion stability shanks keep every step steady and well-supported. The non-marking rubber soles meet ESD standards. The electro-static dissipative soles won't collect a lot of static electricity that may harm sensitive electronic equipment. They've also been finished with slip-resistant treads to keep you steady, even on unsafe surfaces when you're wearing these ESD shoes. Oil-resistance prevents corrosive chemicals from tearing away at the rubber. For more protection, these slip-resistant shoes are ASTM rated for steel toe coverage. The KEEN Utility women's Atlanta 1007017 steel toe shoes are made with asymmetrical left and right steel toes that give feet plenty of moving room. Whether you need them for a long run or the long haul at work, these grey shoes will help you take care of business. This was previously listed as style U520 45. These are a nice lightweight shoe. They breath and have very good arch support. Also, I have pretty wide feet, especially for a woman but these are wide enough that they are still comfortable. I really like them with wool socks for a nice even temperature and moisture level all day long. I would buy these Keen shoes again and recommend them to anyone. I order these Keen shoes because I was looking for a steel toe shoe for work that was cooler to wear in the summer time. These are great just for that. They are extremely comfortable to wear all day long and provide excellent support. I would recommend them to anyone. I just places an order to try out another kind of Keen steel toe hikers and I can't wait to get them. I am on my feet over 8 hours non stop and these shoes really are the best. My feet don't hurt at the end of the day like usual!! I really couldn't believe it. 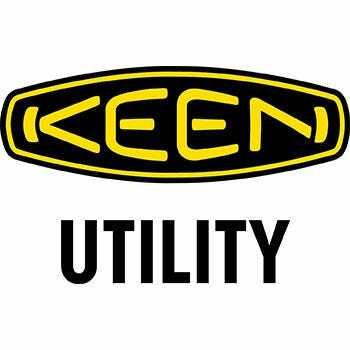 Keen is my new brand for steel toed shoes. This is the best steel toe shoe I have owned. I would recommend this shoe to women whom have had issues with their feet feeling sore from walking because they are so comfortable and support your feet. I am sticking to this brand and type of steel toe shoe. If your job requires steel toes this is the way to go. Wish they had more colors. Love Keen shoes! They have a larger toe box than other shoes/boots and are very comfortable. I have purchased "regular" keens hiking shoes for many years and I thought I would try the work/steel toe equivalent and have not been disappointed. Another plus is they don't look like "work shoes" - look like regular shoes. Women's KEEN Utility 1007017 Atlanta ESD Steel Toe Shoes is being added to your cart.